You may have noticed from the picture, but at Madison Genesis we’ve made a few changes this year and the biggest one is kit manufacturer. Not every team has the chance to work with a truly world class brand, and we’re delighted to welcome PEARL iZUMi aboard. They need no introduction after years of working at the highest levels of cycling with teams like Garmin-Slipstream and BMC, and we’re extremely excited that we can continue that tradition of pro team collaboration into 2019. The other big change is design. 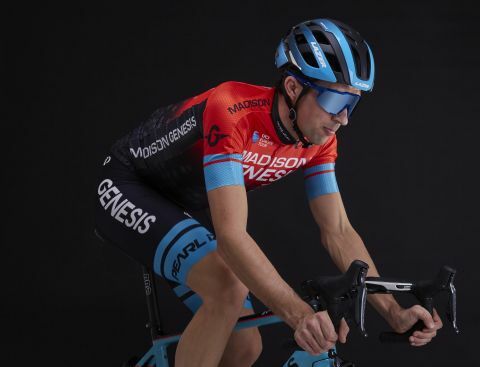 We figured that a new manufacturer was a chance to really mix things up, and this new kit with the orange-to-black fade, trademark houndstooth pattern and flashes of turquoise is the perfect complement to our striking Genesis Zero SL Disc race bikes.